*Personal information will not be used except for the new projects. *We will reply within a week. This project is Japan's second outlet of DANDELION CHOCOLATE, the San Francisco based bean-to-bar chocolate retailer. The location is a former post office building, more than 90 years old, situated just in front of the entrance path to the Outer Shrine (Geku) of Ise-jingu. 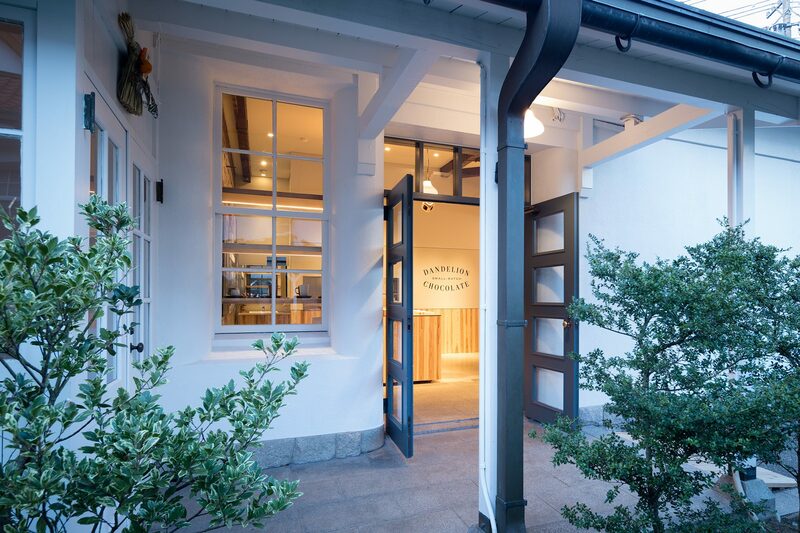 This building was designed by the famous Japanese architect, Tetsuro Yoshida, of which half is a French restaurant that has been loved by the local community for many years. The other half has been vacant, quietly waiting for the perfect tenant. 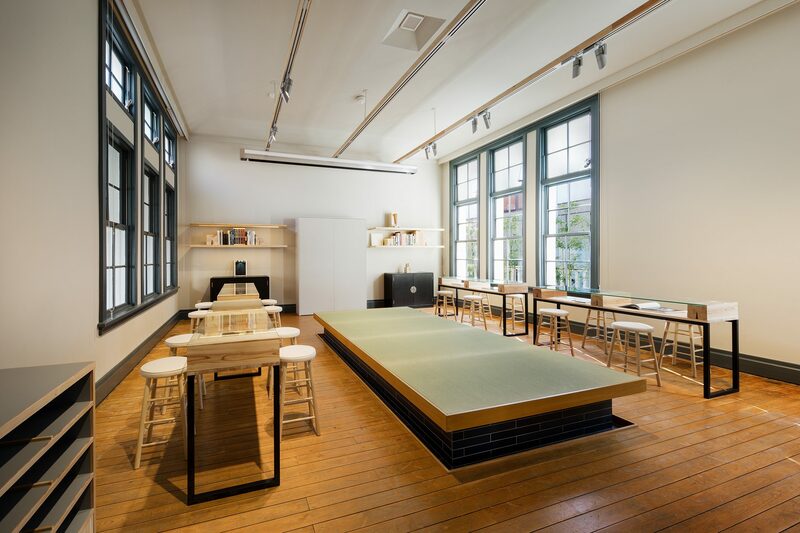 Our initial encounter with this building was through a different client, who wanted to create a "salon" that conveyed the true beauty of Japanese craftsmanship, with Ise at the forefront. 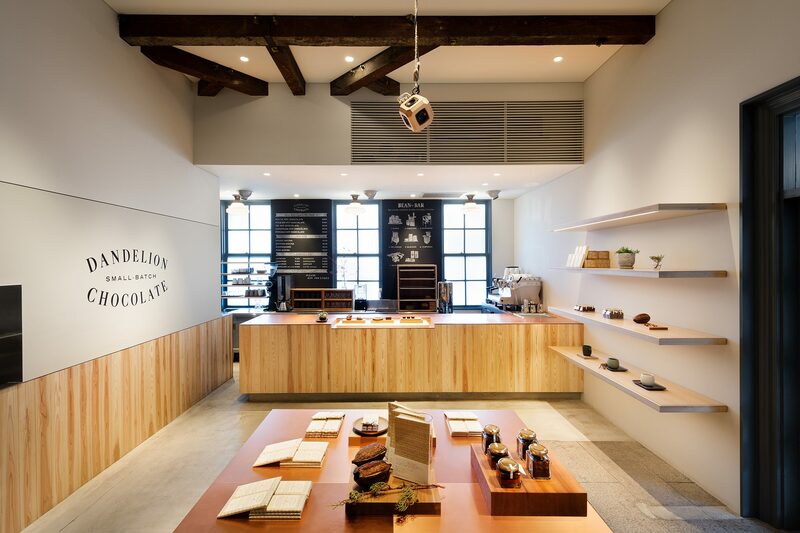 During the planning phase of the salon, DANDELION CHOCOLATE's first location in Kuramae(Tokyo,Japan) opened, and we were able to introduce the two owners to one another. 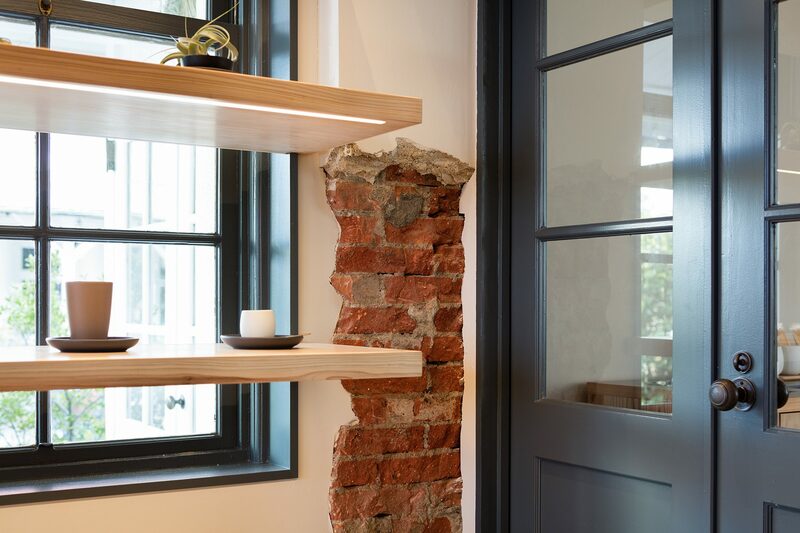 There was an instant connection, where both owners had a strong, eclectic philosophy, and it was decided that the new DANDELION shop would take up 1/4 of the space of the salon's entryway. On the one hand, the Ise Outer Shrine itself is traditionally known as the shrine of food gods by the neighboring areas, but the local people also had a strong inclination to accept new ideas, things, and people from the outside, more so than we had expected. This strong factor made it possible to open the shop in this location. For this design it was our intention to express the existing beauty of this Tetsuro Yoshida designed building, complimenting it with our minimal additions to create a truly DANDELION CHOCOLATE-like space. The interior was previously used as an office, and during the site survey and demolition phase, we discovered that one area of the floor was cobblestone, most likely an original part of the outside stone path. In addition, hiding beneath the painted walls was beautiful brick wall, and in the roof space was an impressive wooden beam. Some new elements that were adopted from the first location include a chalkboard - used to illustrate and convey the brand's concept and philosophy, and a copper plate countertop. 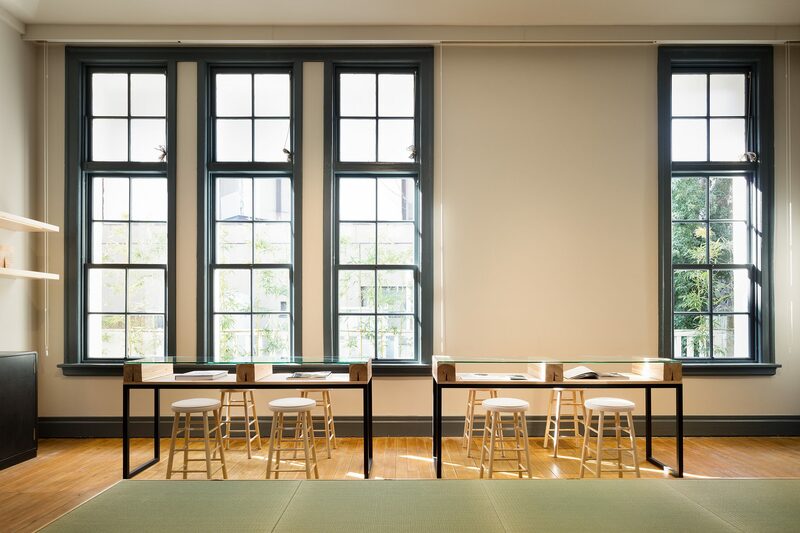 Additionally, the counter is made by local craftsmen using locally-grown cedar, and is a key feature of this space. This allows visitors to have a unique experience while being surrounded by the distinct scent of high-quality cacao. 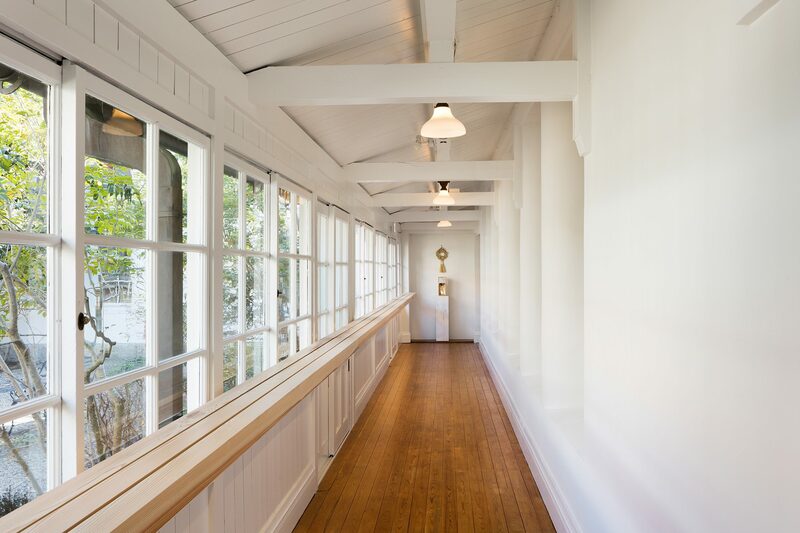 The shop's interaction with the salon was naturally an important factor in our design, but just as important was the interaction with the neighboring French restaurant, and the entrance path to Ise Outer Shrine, with hopes that this new space will establish itself as a place that is cherished by the locals for a long time to come. Client: DANDELION CHOCOLATE japan Inc.